For over 40 years Lexicon® has been considered the gold standard of digital reverb and effects processing. Now that same distinctive, smooth, rich “Lexicon Sound” is available in a plug-in specifically designed to take any home or project studio to the next level. 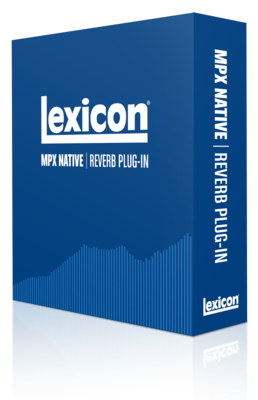 The MPX Native Reverb Plug-in delivers the legendary Lexicon sound through a single polymorphic plug-in with seven different reverb types and over one hundred of the most versatile and finely crafted studio presets. This is the ultimate home recording and project studio plug-in package for creating professional, inspirational mixes within popular DAWs such as Pro Tools®, Logic®, Nuendo® or any other AAX, RTAS®, AudioUnit™, or VST® compatible host. Reverb is the reflection of a sound. The tone, density, length and many other factors that account for the quality of a reverb are influenced by everything from the size of the space to the materials that create the reflective surfaces. From amphitheatres to halls, from echo chambers to springs, we have been manipulating form to harness reverb for thousands of years. From the 1970’s to today, when audio professionals say the word ‘reverb’, it is usually preceded by ‘Lexicon’. 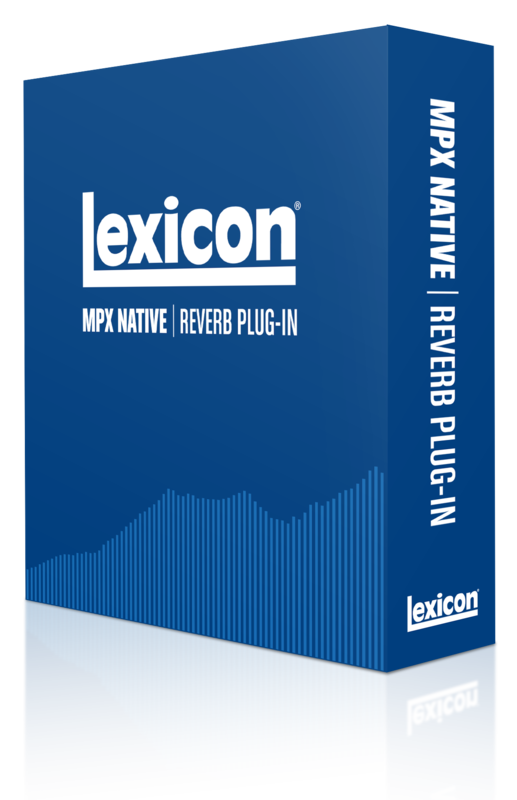 No other company has had such a major impact on reverb over the last four decades and the MPX Native plug-in is a great addition to any DAW set up. With an intuitive, streamlined user interface, 100 masterfully tuned presets, and the quality that elevates any home recording and project studio to a whole new level, adding professional reverb effects to your projects has never been faster, easier, or sounded better. Real Time Visualization can be turned on and off by clicking in the window. When off, the plug-in name is displayed – this conserves CPU power. When on, the real-time analyzer is displayed, giving visual feedback of the effect signal’s frequency response. For other variations on Lexicon Reverb, please look at the PCM and MX hardware series or the LXP or PCM Native Reverb plug-Ins.